If there’s one fruit that’s loved more than the others in this house, it’s blueberries. 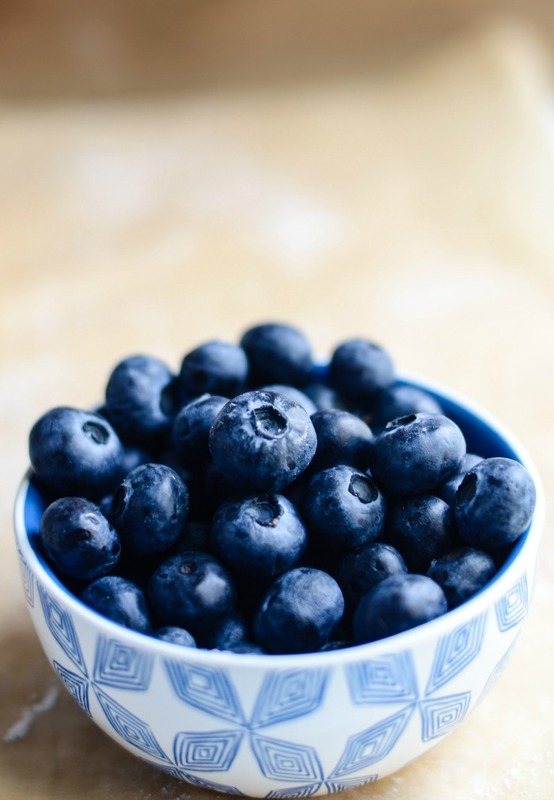 Though I’ve been known to eat berries straight from the bush, there’s nothing I prefer more than blueberries added to some of my favorite morning delights with a cup of coffee. Add in a good book and it’d be a perfect morning. 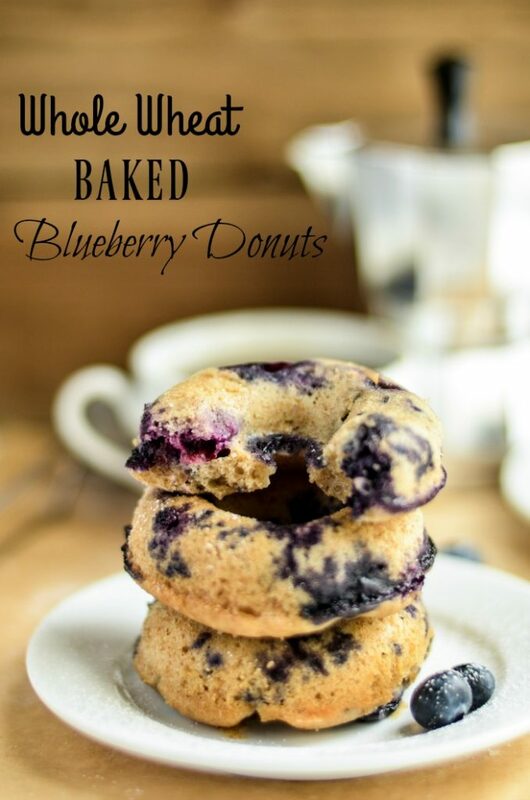 It’s with this ideal day in mind that I wanted to share a recipe – Whole Wheat Baked Blueberry Donuts Recipe. With Greek Yogurt and Whole Wheat Flour added to the mix, I hope you’ll find this baked donut recipe one that your family will ask for over and over again. Grease a 6 cavity donut pan with cooking spray. Set aside. In a large bowl, mix together all the dry ingredients – Whole wheat flour, AP flour, Sugar, Baking Powder, Baking Soda and Salt. In a medium bowl, mix together Greek Yogurt, Milk, Oil, Vanilla Extract and Egg till just combined. Pour the wet ingredients into the dry ingredients and mix with a fork till the batter comes together. Do not over-mix. The batter will be thick. Once the batter comes together, fold in the blueberries gently. Scoop out spoonful of batter and fill the greased donut pan carefully and not all the way up to the top. Bake the donuts for about 14-16 minutes. To be safe start checking at the 12 minute mark. Once the buzzer goes off at the 12 minute mark, insert a toothpick or skewer in the donut to check if they are baked through. Stick the pan back in the oven for additional 2-3 minutes if your donuts are underdone. Your Whole Wheat Baked Blueberry Donuts are done once the toothpick or skewer comes out clean. Cool in the baking pan itself for about 10-15 minutes till they are cool enough to touch. Ease the donuts out and transfer to a wire cooling rack and let the donuts cool down completely. Dust it with a little confectioners sugar before serving. 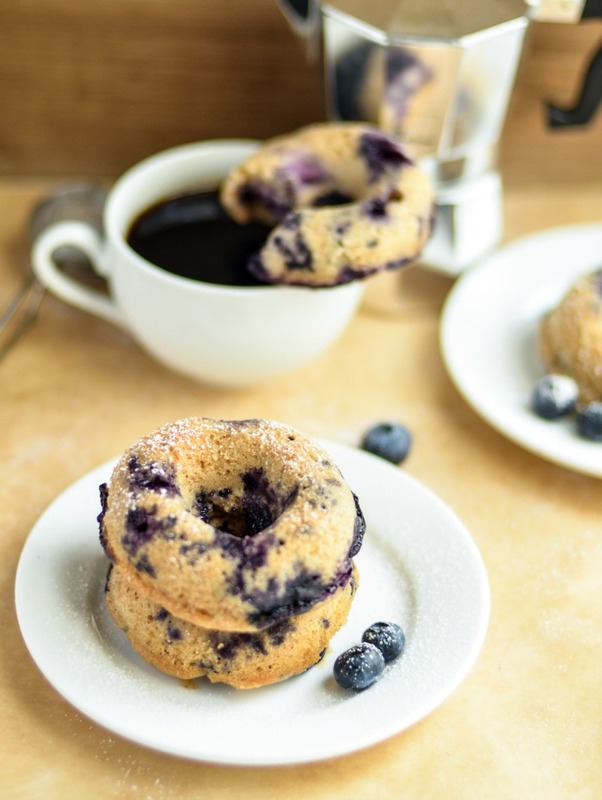 Don’t the whole wheat baked blueberry donuts look delicious? I warned you! You're family will love this healthier (baked) donut recipe with whole wheat flour and Greek yogurt added to the mix! Preheat oven to 350 F. Grease a 6 cavity donut pan with cooking spray. Set aside. 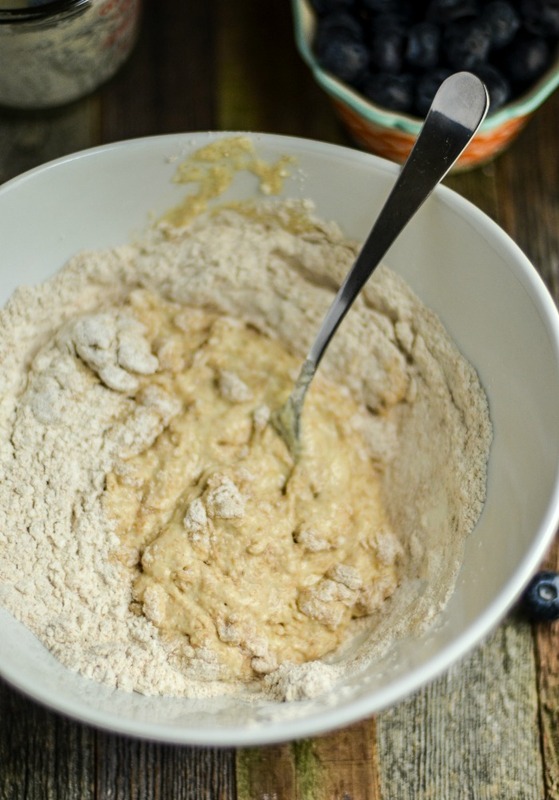 In a large bowl, mix together all the dry ingredients - Wholewheat flour, AP flour, Sugar, Baking Powder, Baking Soda and Salt. Pour the wet ingredients into the dry ingredients and mix with a fork till the batter comes together. Do not over-mix. The batter will be thick. Once the batter comes together, fold in the blueberries gently. Once the buzzer goes off at the 12 minute mark, insert a toothpick or skewer in the donut to check if they are baked through. Stick the pan back in the oven for additional 2-3 minutes if your donuts are underdone. 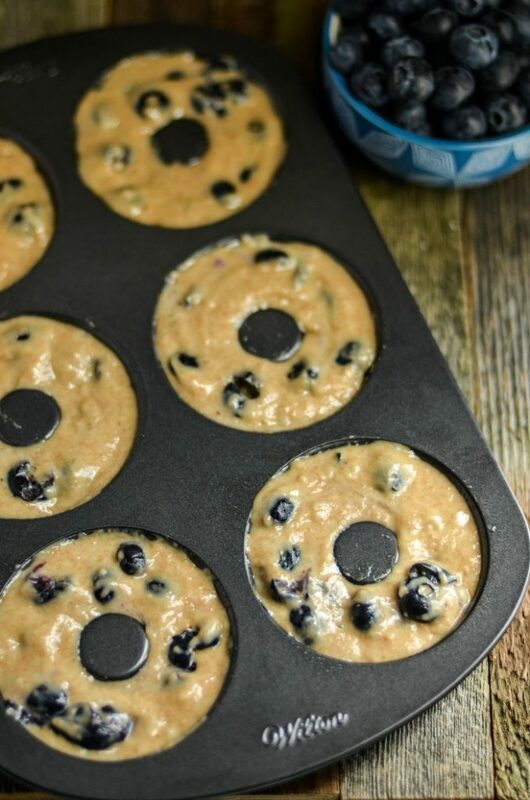 Your Baked Wholewheat Blueberry Donuts are done once the toothpick or skewer comes out clean. So tell me, do you spell it DONUT or DOUGHNUT? Oh my goodness! These donuts look delicious! Not just for breakfast either. I love that they’re whole wheat and without heavy icing. 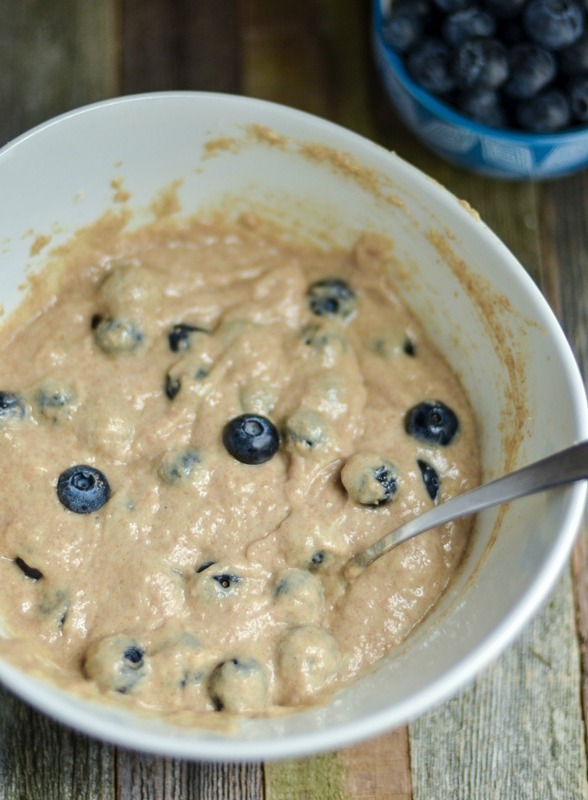 Add the fresh blueberries and it’s the perfect recipe! I have always spelled it as DONUT. My daughter loves donuts and blueberries. It would totally make her morning if I made these for her! These look delicious! Blueberry is one of my favorite doughnut flavors. I’ve never tried making my own but since i have the recipe now I might try to make them. Mmm those sound so yummy! I have a donut pan (or a doughnut pan), but haven’t made any in forever. Need to try this recipe! Blueberry donuts are one of my favorites. These look fantastic, I love that they look loaded with blueberries! I love homemade, and I love Donuts! So this is like the perfect combo! Homemade Donuts! YES PLEASE! I want some for my breakfast! Paired with some fresh blueberries (OK maybe overkill with blueberry donuts, but still delicious) and a mug of hot cocoa, just the thing to get me started. hmm….yum! I can’t wait to try these! They look delicious. I will have to go and find a mini donut tin! would substituting applesauce for the oil work in this recipe? From what I understand, it should work perfectly in most baking recipes Bill! Let me know if you make it! Oh, these look really good. I absolutely love blueberries, & who doesn’t love doughnuts?? This recipe looks amazing! I think my family will love this.